Online restaurant discovery and ordering platform Zomato Media Pvt. Ltd said on Monday it has acquired Gurgaon-based logistics technology startup Sparse Labs Pvt. Ltd. This is Zomato's first acquisition in nearly a year and a half and the 10th overall, according to VCCEdge, the data research platform of VCCircle. It had previously acquired nine companies, mostly outside India, in the 10 months through April 2015, the data show. Zomato didn't disclose the terms of the latest deal but said Pankaj Batra, founder of Sparse Labs, and his team will join the food-tech firm. Sparse Labs, which was set up in July 2014, helps restaurants gather data on tracking delivery drivers and show customers real-time data on their orders. Batra previously founded finance community startup SocialFinance and worked with education firm Educomp. In a blog post on Zomato's website, founder and CEO Deepinder Goyal said that for the past year the company has been working to make the process of online food ordering and delivery as simple and hassle-free as possible. "For restaurants, this (Sparse Labs) technology will help make deliveries cost- and time-efficient, allowing them to optimise delivery routes and ensuring minimal wait time for riders," said Goyal in the blog post. 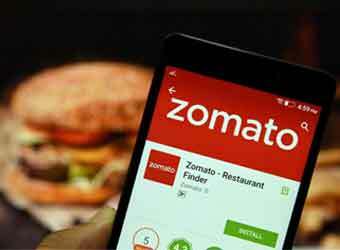 Sparse Labs will be renamed Zomato Trace and its service will be offered for free to restaurants. Zomato had acquired a number of companies in 2014 and 2015 before it slowed dealmaking. In January 2015, Zomato bought Urbanspoon, a US-based restaurant information and table booking property, in an all-cash transaction worth $52 million (Rs 325 crore then). In the same year, Zomato acquired restaurant search service Mekanist of Turkey, and data firm MaplePOS and table reservation startup NexTable in the US. Zomato is one of 10 unicorns, or private companies with a valuation of $1 billion or more, in India. It has raised about $224 million in total. Zomato entered the unicorn club in September last year when it raised $60 million (Rs 390 crore when the deal was made) in a round of funding from Singapore government's investment firm Temasek and existing investor Vy Capital. The company has grown at a rapid clip over the years but is making losses Pre-tax loss at Zomato widened almost four-fold to Rs 492.27 crore in 2015-16 from Rs 136 crore the year before. Revenue doubled to Rs 184.96 crore from Rs 96.73 crore, according to its Mumbai-listed parent Info Edge India Ltd's regulatory filings.